99% of the time I embroider with stranded cotton floss. It's easy to find, inexpensive, and what I'm used to using. However, I love different kinds of stitching threads, and when I find new (or old!) kinds to try, I often buy a few skeins just to have around. My local needlework shop has quite a selection, and some time ago, I found these wool threads. I haven't really used them (other than a small test shortly after I bought them). But I'm so glad that I had them so I can now out them to use with the techniques I learned in Craftsy's Stitch It With Wool: Crewel Embroidery class! If you're not familiar with crewel, first, I promise that it's not cruel. (Sorry...I couldn't resist!) Crewel is very much like regular free embroidery, the kind I usually do. In fact, there's a HUGE overlap of stitches! But there are some key differences. 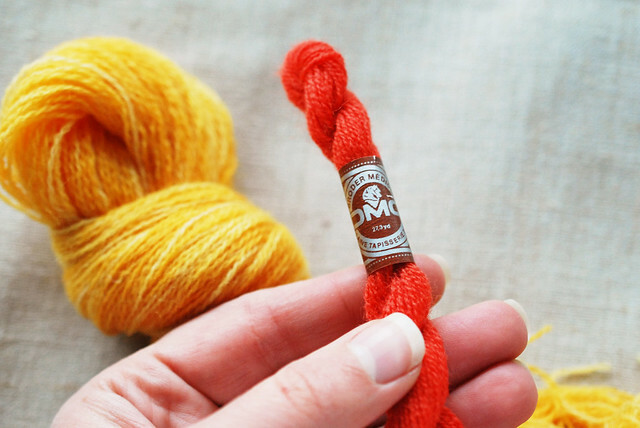 The biggest difference is that you use wool threads and yarn. But I learned from instructor Kristin Nicholas that another element that differentiates crewel from other embroidery is texture. That comes from the wool, but also from stitches that really emphasize texture. The embroidery process is a tactile experience normally, but I like the idea that the finished item will be more tactile too! As I mentioned, there are some standard stitches, as well as some special stitches and variations on stitches that are used in crewel work. Some of them I've heard of, but never tried, but there were a few that I had never even heard of! It's nice to know you can get started right away with some base knowledge, and continue to learn more unique and advanced stitches. 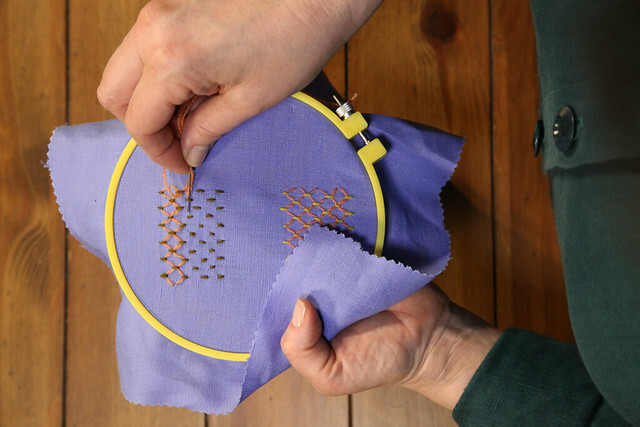 Stitch It With Wool: Crewel Embroidery teaches all of this, along with what kinds of materials work best, how to prep and manage crewel yarn, and what steps to take for finishing. Kristin has been doing crewel since she was a little girl, so she knows what she's talking about. 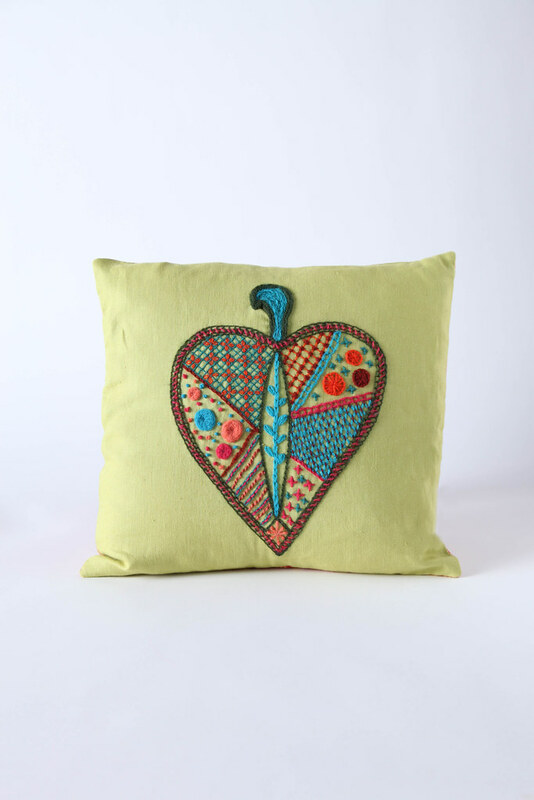 Even with all her experience, this class isn't all perfect stitching, which can almost be discouraging as a beginner. 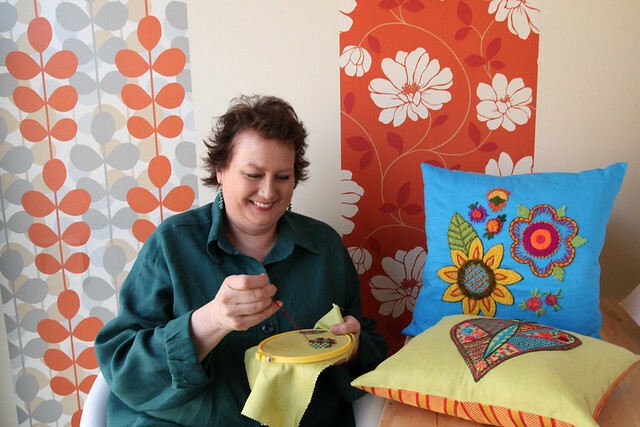 One thing I love about Craftsy classes is that you can always count on a few "oops" moments. Seeing what mistakes look like and how to correct or avoid them is more helpful than perfection, wouldn't you agree? 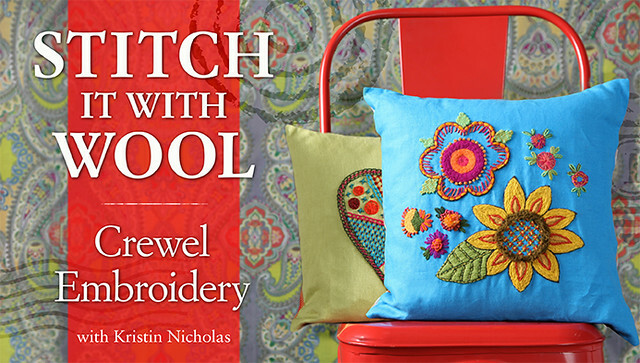 I can tell you that I will be going back to this class again and again, especially because I think that crewel ornaments are going to be on my list of Christmas gifts to make this year! And since Craftsy classes are available and yours to keep forever, I won't feel rushed to learn every little bit right away. 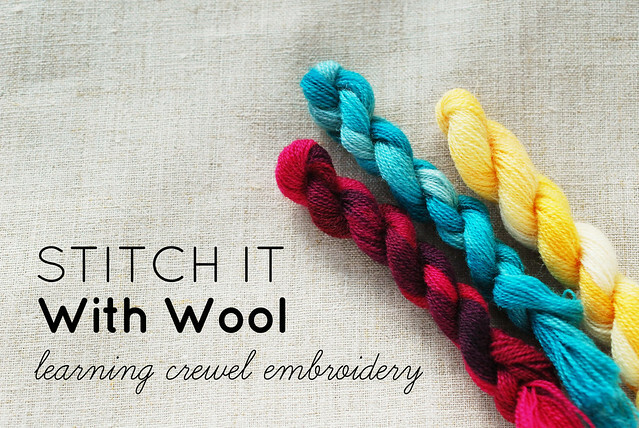 Would you like to stitch with wool and learn crewel from Craftsy? For just one week (the offer expires 11/25 at 11:59pm MST), you can purchase this high definition video class for the amazing price of just $14.99. This post was sponsored by Craftsy, but the words and thoughts are all mine. My first embroidery adventures as a child were crewel!! I love it - especially old Erica Wilson kits!